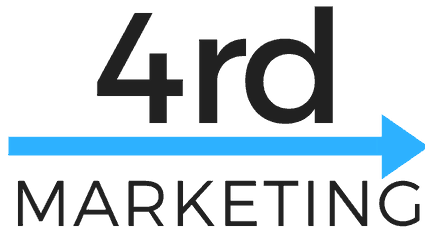 At 4rd Marketing we believe in the simplicity. For Search Engine Marketing, most commonly referred to as PPC Management (Pay Per Click) we offer one flat rate to start off, with an addition amount per network, per domain. Pay Per Click campaigns are often a great way to get immediate leads and helps supplement the long term SEO work that is being completed. This is especially true of Real Estate SEO. We charge a flat rate management fee to kick off your account and add on a small fee on top of that for each network you add. For example if you want us to manage your Google Adwords and Facebook, you pay one low management fee and then a small add on for Facebook. This keeps it simple no matter what your budget is. We offer Local Adwords management to help supplement your Local SEO efforts. Our ultimate goal is to be able to get your cost per lead low enough that our management fee makes sense. We set up targets at the beginning of each month and then work hard to drive the cost per lead. We look at what we can control, “click through rate” and “cost per click” and match that up with what your site can control, “conversion rate.” We do all this while offering monthly (often weekly) insight emails in addition to the reporting that is available on many of these platforms.